Can a girl realize her dreams and find her heart’s true desires through the music she anonymously creates? 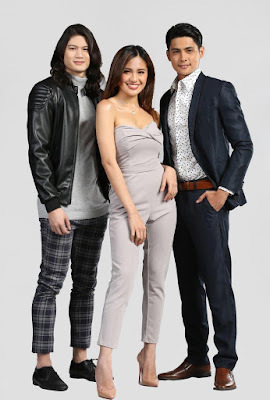 This May 7, GMA Network invites viewers to believe in the power of music and love with the musical rom-com series My Guitar Princess top-billed by Asia’s Pop Sweetheart Julie Anne San Jose. 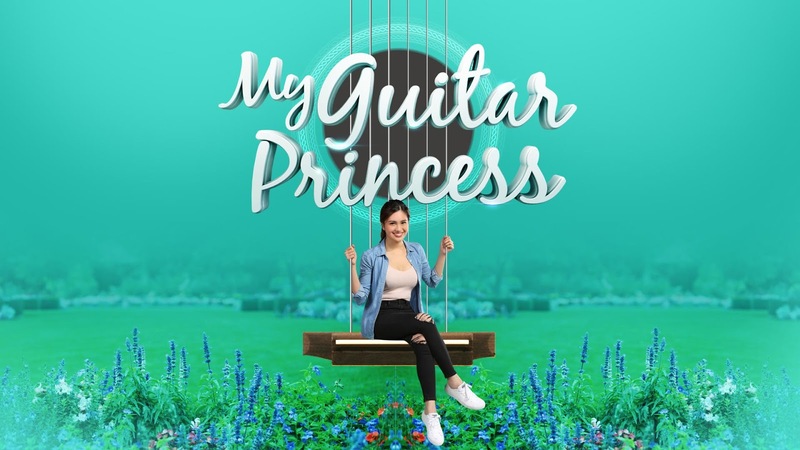 My Guitar Princess tells the story of Celina Raymundo (Julie Anne), an 18-year-old girl who loves to sing and to play the guitar but is a little insecure of her talent. Her mother, Adele Raymundo (played by Ms. Sheryl Cruz), disapproves and discourages her from singing. Yet the pull towards the inevitable proves to be strong. Celina’s talent will be the driving force for her to share her craft with other people. Will this strengthen the bond she has with her mother or will it tear them apart? Celina will also find herself caught between two guys who will fall in love with her—Elton Smith and Justin Garcia. Kind, smart, and talented, Elton is a 20-year-old singer based abroad who is more known to his fans as the “Prince Charming of Pop”. Giving life to Elton’s character is Kapuso heartthrob Gil Cuerva, who returns to the small screen after his successful debut TV series ‘My Love from the Star’. Justin, on the other hand, will be Celina’s confidante who will eventually fall in love with her. Taking the role of Justin is Kapuso heartthrob Kiko Estrada who previously starred in the primetime series ‘Mulawin vs Ravena’. Increasing the tempo of the story are some of today’s hottest stars including Isabelle de Leon and Jazz Ocampo who play Taylor and Katy Garcia, respectively—Justin’s sisters who are set to make life difficult for Celina. Helping Celina is her ever-supportive friend Britney portrayed by Marika Sasaki. Meanwhile, playing Elton's manager is Marc Abaya. One Up’s Ralf King is Adam, Justin’s closest pal. Playing important roles as well are Kier Legaspi as Elvis Soriano, Frank Garcia as George Garcia, Maey Bautista as Yaya Dolly, Rob Sy as Michael, and veteran actress Ms. Lui Manansala as Manang Barbra. My Guitar Princess is the first-ever TV series in the Kapuso Network by director Nick Olanka, who directed the indie films Ronda and Ang Huling Araw ng Linggo. This latest offering from GMA Public Affairs is written by Jessie Villabrille, Jerome Zamora, Mario Banzon, and Conan Altatis based on a concept by Executive Producer Shao Masula, film and TV director Adolf Alix, Jr., and SAVP Clyde Mercado. Let your heart sing to the melody of Celina’s journey in My Guitar Princess, starting May 7 weekdays, before Eat Bulaga on GMA-7. Kapuso viewers abroad can also catch My Guitar Princess on GMA Pinoy TV. For the program guide, visit www.gmapinoytv.com.